I'm now using a KDE build (Antergos) : and loving it! 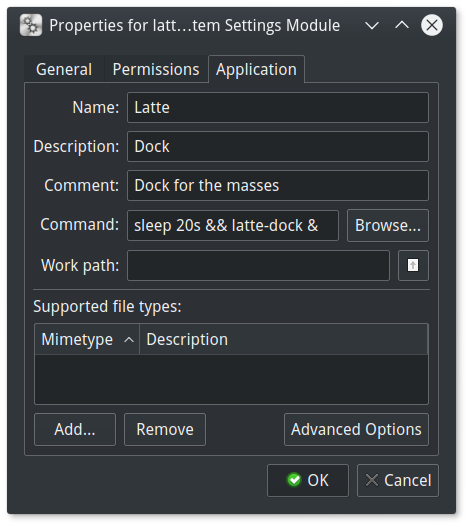 I've been using Latte Dock since I had some issues with Plank under KDE: on occasions it would show an extra icon for Plasma and that started me looking for something new. 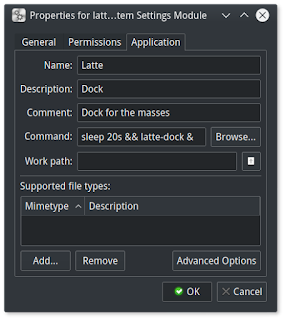 I do like Latte Dock a lot: but I've been having an issue with KDE occasionally crashing out of GL compositing on startup: which always shows up in the dock since its background re appears and looks ugly. My theory is that if I could delay the dock startup a while: the compositing would be unaffected when the dock loaded: and so far it seems to have worked. Now the compositing can load ahead of the dock and all seems to be well.